Adelphi University Women’s Soccer Announces ID Clinic has announced its spring ID clinic for April 23, where players from the ages of 15-22 can learn skills and tips from the two-time East Region finalists. The clinic, held from 2-5pm on Motamed Field on Adelphi’s Garden City campus, will consist of technical and dynamic training run by the Adelphi coaching staff and current players, with both small-sided games to maximize touches while providing players with a competitive environment to express their love of the game, and larger games so players can demonstrate their knowledge of the game in its entirety. Adelphi University Director of Athletics and Recreation Danny McCabe named Brooke DeRosa as the seventh head coach of the Adelphi University women’s soccer progam on April 30, 2015. In her first year as head coach, DeRosa finished with a 18-3-2 season record and led the team to program history. DeRose led the Panthers to the program’s first-ever. The Panthers earned the #2 seed of the NCAA Tournament East Region and advanced to the third round of the NCAA Tournament. Prior to arriving at Adelphi, DeRosa spent the past two seasons as an assistant coach at St. John’s University. DeRosa gained experience as a head women’s soccer coach at Nassau Community College walking their sidelines from 2011-2012. DeRosa’s playing career began at Syracuse, where she was a BIG EAST All-Rookie selection in 2002 as a midfielder/defender. DeRosa played three years with the Orange before transferring back to Long Island to play for the Hofstra Pride. A local standout, DeRosa played for the Long Island Rough Riders organization from 2002-04 and from 2007-12 and helped the team to a W-League Northeast Conference title in 2012. DeRosa earned a Bachelor of Fine Arts in Ceramics from Syracuse University and a master of science in art education from Hofstra University. She currently resides in Ronkonkoma, N.Y. with her daughter Ciara. 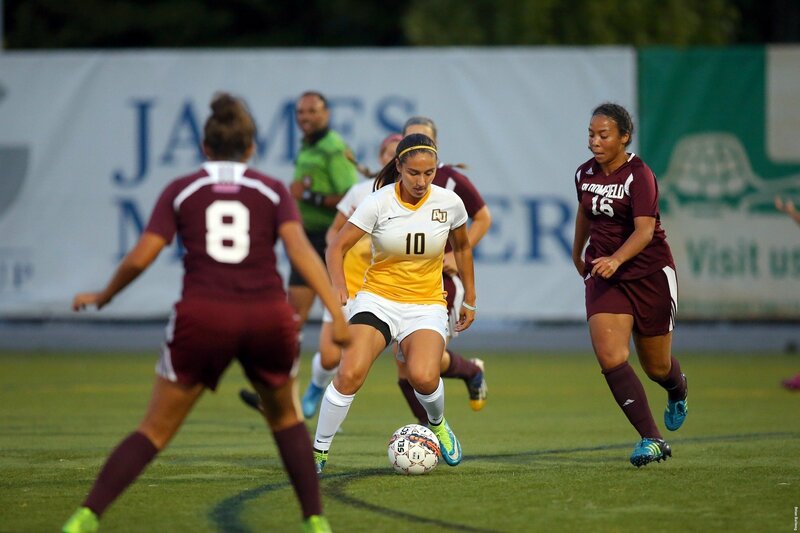 Adelphi University Women's Soccer Announces ID Clinic has announced its spring ID clinic for April 23, where players from the ages of 15-22 can learn skills and tips from the two-time East Region finalists.